This fortnight the Babipur Stem challenge is a super easy one. It can span from babies to adults and I want to see the craziest build using one item as a foundation. Be it a cube, a mendelson, a wooden animal, a Nin… whatever you can think of! The prize this time is a set of Bajo Mendelsons! These are a fab way to apply logic to your building as these can be used to create rather genius structures! 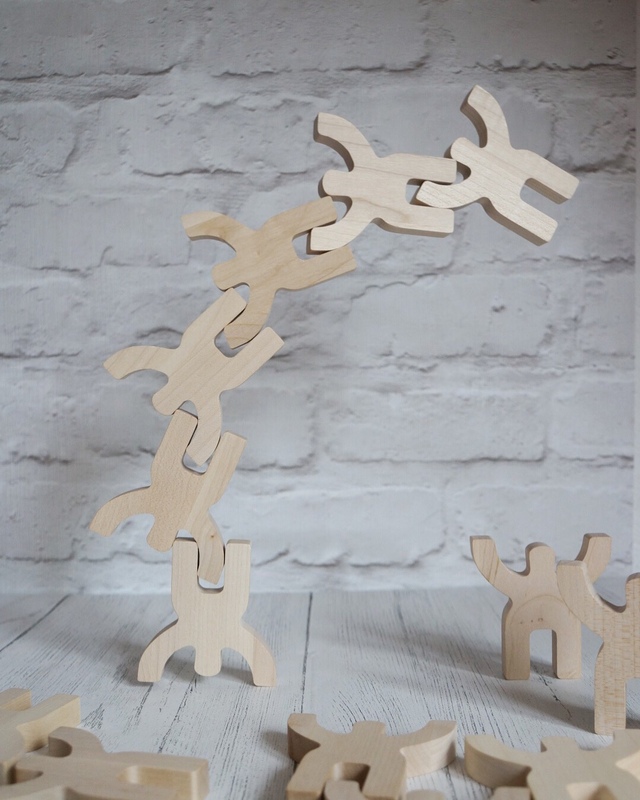 This challenge will help little ones develop an understanding of structures. By starting off with a limited foundation they are forced to be creative to design something that will balance. This will encourage logic and problem solving skills along with teaching them the basics of building. The balancing aspect is a fantastic demonstration of forces; a straight tower with an even distribution of weight will be more stable than an asymmetrical one. Little and not so little ones will have fun working out the best way to construct their builds. We’ve had lots of fun challenging each other this weekend to build something more insane than the next. I can’t wait to see what you can come up with! All you have to do is post a picture in the Babipur Hangout or on Instagram using the tag #babipurSTEM – please tag Babipur on IG too. Enter as many times as you like and have some fun building! Next School Holidays: Day 28 – why I have trust issues!